Designed 100% in house at K-Tech UK. Designed for use in OEM front fork systems, all parts are CNC machined using the finest materials to exacting tolerances. 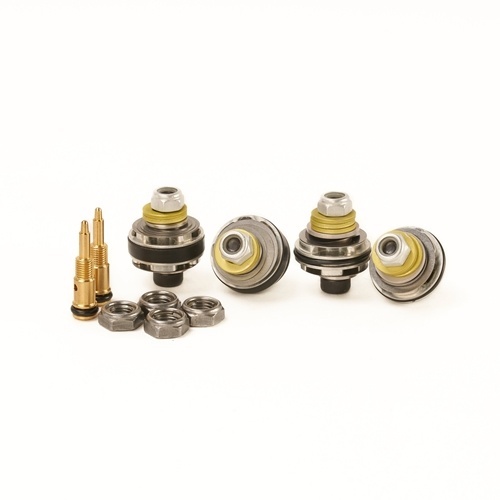 Kits provided enhanced damping efficiency over the standard systems for better feel and control. An excellent upgrade for street or track use! All 20SSK front fork piston kits arrive pre-assembled for easy and fast installation - saves time and money! Flow control valves also available!